If you ever mistake a Kiwi for an Australian or vice versa, you'll get a semi-feigned reaction of having deeply insulted them. There has long been a healthy rivalry between the two nations. New Zealanders, for example, refer to Australia as "The West Island." These days, however, a very real animosity is growing between the two nations and much of it has to do with recent changes in immigration policies. Australia will now deport New Zealanders who are convicted of crimes back in their home country. The discussion quickly turned to the topic of changing flags. Peter's argument does have merit. 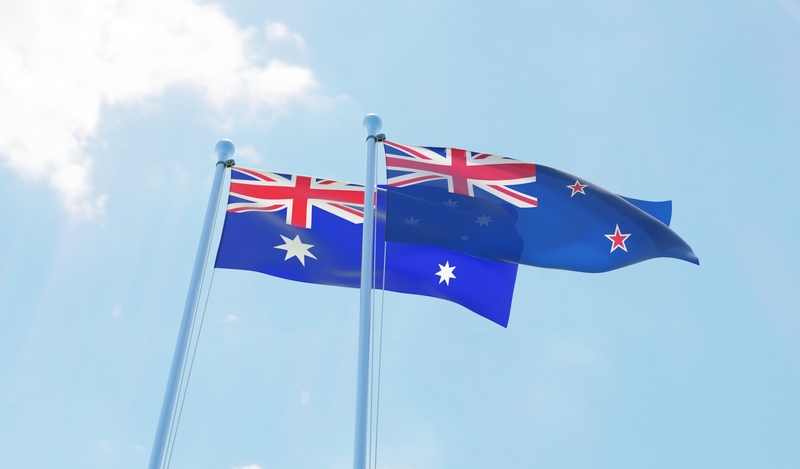 New Zealand adopted its flag in 1902. Australia didn't <i>officially</I> fly their very similar flag until 1954. Ah, but wait just a moment. Australia has been flying this flag <i>unoficially</i> since 1901. Prime Minister Jacinda Ardern is currently on maternity leave and has not commented on the flag debacle. While it is unlikely this will become a serious diplomatic incident, it would be a shame to see the healthy rivalry/camaraderie between these two fine nations erode into something different.